If you have been searching for a heirloom-quality classic wooden dollhouse we have made it for you! It has very warm appearance, is really cute and fun to play with. Shapes of the windows and the balcony gives a special, romantic look. Lighting makes it look more real and encourages child to inter into the wonder-world. As they act out different scenarios, they will create scripts for the different characters in their play. These will help them to understand how people communicate with each other and also about different social situations. If they are playing with the dollhouse with other children, they will also learn about taking turns, working as a team, sharing ideas and listening. 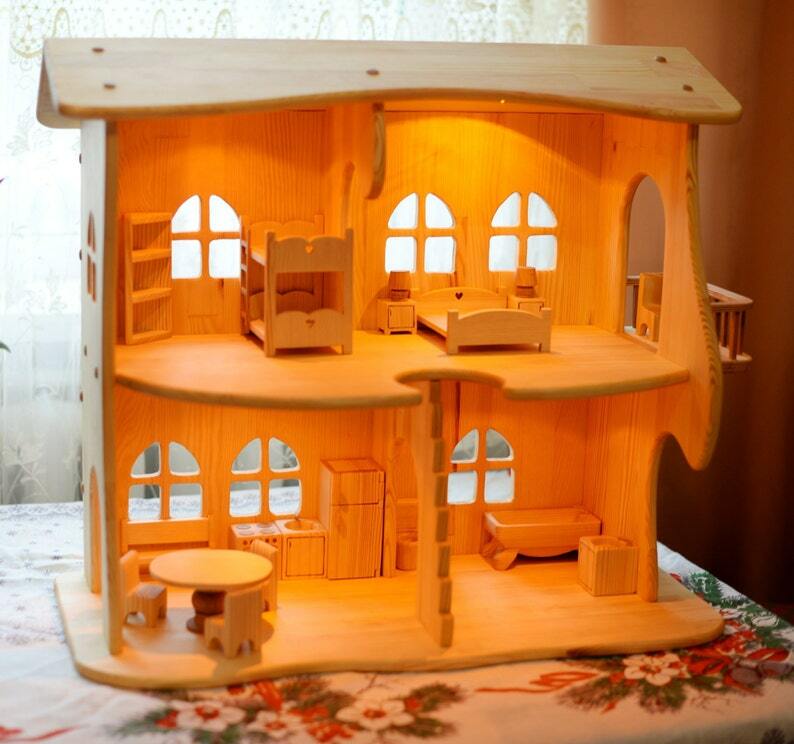 This two-story Wooden dollhouse *With furniture* is 100% handmade. It is a great gift for your child, is Eco-friendly, Unique, hand Crafted, safe for children. The house is powered with two AA batteries - as it has 4 LED lamps, which do not get hot and are safe to touch, a child can have lots of fun with it. Illuminated has 4 LED lights that light of two AA batteries. Non-illuminated doesn't have any lighting. Height 60cm/23,6in , length 70cm/27,5in, depth 30cm/11,8in . As you know, a wax is a safe product for children so they won't get poison or allergic. This house is made by the best masters with all the features: it is solid and will not fall apart when you play, rounded edges holds a bunch of toys. Made of a natural pinewood. Toys are best for children above 2 years old. We recommend not to leave children under 2 years of age unattended for safety reasons. !! 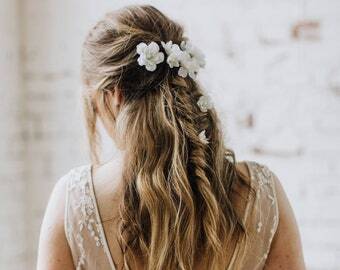 !Each buyer gets coupon codes emails and 10% discount for next order!! !